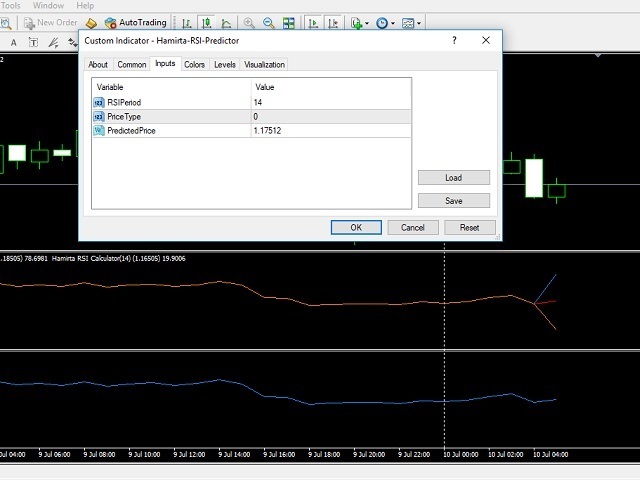 It is a version of the standard Relative Strength Index indicator which calculates the RSI value on last candle by desired price value. RSIPeriod - period to calculate the index: it should be larger than 2. If less than 2, the value of an indicator will be 0. PricetType - the Price used. It can be any of the ENUM_APPLIED_PRICE price constants. PredictedPrice - the Price, which you want to calculate its RSI value when reached on current Bar. 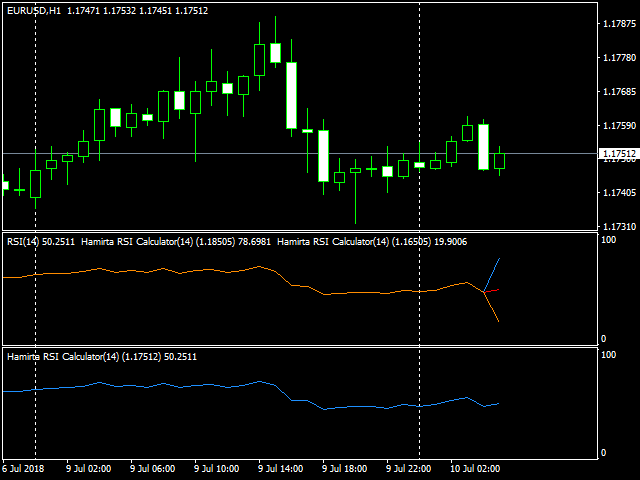 You can use several instances of the indicator at the same time on the same chart.